Ask fellow campers about "Royal View Camp Resort" and nearby attractions. We stayed here over Labor Day weekend. We were in an Executive site which is a bit of a misnomer. It was long enough for our 43' TH but didn't have many amenities; a metal fire pit and a picnic table on a slab which was tilted about 5 degrees making you feel like you're going to fall over while sitting. The campground was full and the activities were abundant. Here's the good: site was decent sized, threaded sewer connection was nice, tons of activities (mini-golf, playground, pool, dog parks (waste bag stations too! ), Frisbee golf, arcade, ping-pong, walking trails, etc), great views of the bridge. The not-so-good: price was a little steep, wifi had great signal strength but very slow (used cellular data plan instead), site wasn't very level (my auto leveling system handled it fine but everything was sloped, couldn't park a second car in the site despite there being enough room for 4-5 cars (we had some friends visit and when asked if they could make an exception because the parking lot was full, the owner was very adamant that they had to park in the secondary parking "No exceptions". ), there was only one trash bin located by the front entrance (we were 100 yards away) and it was overflowing, lots of bugs in the pool, no cable tv or reception for local over-the-air stations (if you can't provide cable, at least provide enough bandwidth on wifi to allow streaming tv entertainment), and the whole campground was gravel. Summary: a decent campground that I would stay at again for no more than a weekend. We camped at Royal View Camp Resort in a Fifth Wheel. This park is run by a lunatic. I watched this man target and harassed a young family and their children with the help of 4 of his employees. One of the employees later apologized to other customers and admitted that the owner was wrong but there was nothing he could do about it. All because the young girls did not follow one of his 1000 rules that all benefit him and not you. Avoid this place. The owner has anger problems and is full of hate that if he targets you and your family will be on display. If you have a short fuse, then this guy will provoke you and will get you to something you will regret so he can profit off of it. The local police tell people to avoid this place because of the owner, and that is exactly what you should do. You have been warned. READ ALL THE REVIEWS ON ALL THE SITES. There are some scary stories about this guy out there dating back to 2009. He wants older folks who stay inside their campers all day. This place had a really odd environment, and you could tell most of the weekend guests were terrified to talk loud or use any of the equipment out of fear of dealing with the owner. If he is mentally capable of bullying little girls to the point they break down and cry, he is capable of just about anything. We camped at Royal View Camp Resort in a Travel Trailer. Stay away from this place if you are young and have a family. The owner hates kids, military, police, dogs, and anybody who is trying to enjoy themselves. He absolutely believes that staying at his campground is a privilege and he is the king. He is not there to make your stay enjoyable. He is there to take your money, observe your families and find a reason to have you removed and keep your money. Great off-the-highway up-the-mountain-side rv resort. Great level gravel sites. Premium sites large to park tow vehicle next to trailer with extended awning and still lots of room for picnic table and fire pit! Fantastic views. Swimming pool; small miniature golf range; hiking trails; two large fenced dog park; playground; horseshoe pits. Very good value for your money! We stayed two nights in a travel trailer. We will be returning!! We camped at Royal View Camp Resort in a Travel Trailer. Near-by Canon City is a great destination for a family vacation; Royal Gorge; rafting, fishing, hiking, dinosaur museum, lots of restaurants and local events. Site overlooked Royal Gorge Bridge. Office staff very helpful & friendly. Disc golf course needs some work. Pool was in beautiful condition. We camped at Royal View Camp Resort in a Motorhome. Visited Canon City did prison tour,ok. Did Royal Gorge Railroad tour, nice a little expensive. Visited Cripple Creek area, did surface Gold Mine tour out of Victor excellent. Florissant Fossil Beds were great. The visitor center in Cripple Creek was excellent. Visited Bishops Castle, interesting, but very unsafe conditions, broken railings, flooring, stuff laying allover. No Refund- Staff has No personality- WiFi will not work with a Mac-Apple. No Cable-No Antenna Signal, Washer and Dryer are apartment size and the dryer very Small- $2.50 to Wash $2.35 to Dry. If you want to use their showers you must buy tokens and your time is limited, as they have to truck up their water. Fire Pits but the winds are so strong we were afraid to start a fire. You must pay Up front before you an reserve your sites. We were meeting family in their RV for a week in the Colorado. With No amenity we wanted to move-but there is no refund . My question to Them was what if there was an emergency and I had to leave? He just looked at me and grinned. Worst experience camping . We camped at Royal View Camp Resort in a Travel Trailer. only good thing was royal gorge was three minutes down the road. Colorado springs area was 45 to 60 minutes each way. Don't remember exactly what I paid or what site I was at. The site was very small but clean except for the stinging or biting ants with their mounds. Pool was closed for some reason. Internet and Wi-fi was barely working not worth the effort of trying after a while. Other campers were nice but we had to whisper and stand in a certain spot. The view was nice but the owner is not. He made this my family's worst campground experience ever. Read the reviews!!! We went some where else will never go back to his campground!!! We camped at Royal View Camp Resort in a Travel Trailer. Week we stayed here and had the best view of the surrounding mountains and the Royal Gorge Bridge. 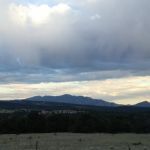 The campground is situated as any easy drive to surrounding tourist sites, Bishop's Castile, Sedalia, Cripple Creek and other wonderful locations. We would stay here again. Managers were very friendly and very helpful in giving us routes to take and places to visit. We camped at Royal View Camp Resort in a Motorhome. Visit the Holy Cross Abbey Winery! The place was nice and clean. The owners of the campground were VERY unpleasant. We will never camp here again and we would not suggest this campground to anyone. We camped at Royal View Camp Resort in a Travel Trailer. Toilets out of commission for a day due to clogged sewer. WiFi lacks actual internet access. Staff states that if more than a couple of users are connected, nobody else can get on. Pleasant enough place in a good location but they are having infrastructure problems. We camped at Royal View Camp Resort in a Cabin. This is one of those campgrounds with Standard, Premium, and Executive sites. Since we were only staying one night, I wanted to reserve a long pull though so we could stay hooked up. I was told a Standard would be too short and reserved a Premium pull-thru. When we arrived, the clerk tried to give us a very short Executive site. When I questioned whether the site would be long enough, he replied, "that's all I got." We walked over to the short Executive site but did not move our RV. All of a sudden, a girl walks out to say, "go to site ES8, we switched you with someone else." ES8 was a lovely Standard RV site. So, I overpaid for Premium and ended up with the Standard I asked for in the first place. By the way, a small Class C ended up angling in the short Executive site. And they wonder why RVers question everything during check-in? We camped at Royal View Camp Resort in a Fifth Wheel. Excellent location for Royal Gorge, rafting and zip lines. The manager does a great job, and the park is spotless. The views are tremendous and the location central to the best climbing, fishing, rafting and gambling in Colorado. We stayed there for a month, then decided to stay another month and a half! We camped at Royal View Camp Resort in a Motorhome. The Royal George is fabulous any time of year. This RV park offers more for the money than you will find in others on the highway. I highly recommend you get reservations, as the best sites fill quickly. Made this two week reservation back in February 2015 for our 42' 5th wheel to ensure a nice, shaded pull through when we arrived. Owner promised to give us what he claimed was a great spot. When we arrived on the appointed day, he had given that spot away and we ended up in a sunbelt spot with temps in the 90's on some days. The park has no cable TV or over the air channels available so be aware. The WIFI works pretty well and the pool is very refreshing. The sites have ample gravel and are pretty level. The access roads in and out are gravel but wide enough for big rigs. Wish they could have done without all the speed bumps though. Park is quiet at night. We camped at Royal View Camp Resort in a Fifth Wheel. We liked the park. We had very little leveling, it was all gravel some shade picnic tables and some sites had fire rings. They had a pool and a putt-putt park, a place to play horse shoes and basketball. You could see the royal gorge from the hill behind the office the host was very informative and helpful. They also have a fenced doggy play yard. We camped for two days and would of stayed longer but had to head home. We camped at Royal View Camp Resort in a Travel Trailer. The royal gorge, rafting, zip line, Colorado Springs was around 30 miles we went to pikes peaks rode the cog tram, saw the cliff dwellings and went to Garden of the Gods. The Royal George is fabulous any time of year. This RV park offers more for the money than you will find in others on the highway. I highly recommend you get reservations, as the best sites fill quickly. Are you affiliated with Royal View Camp Resort ?